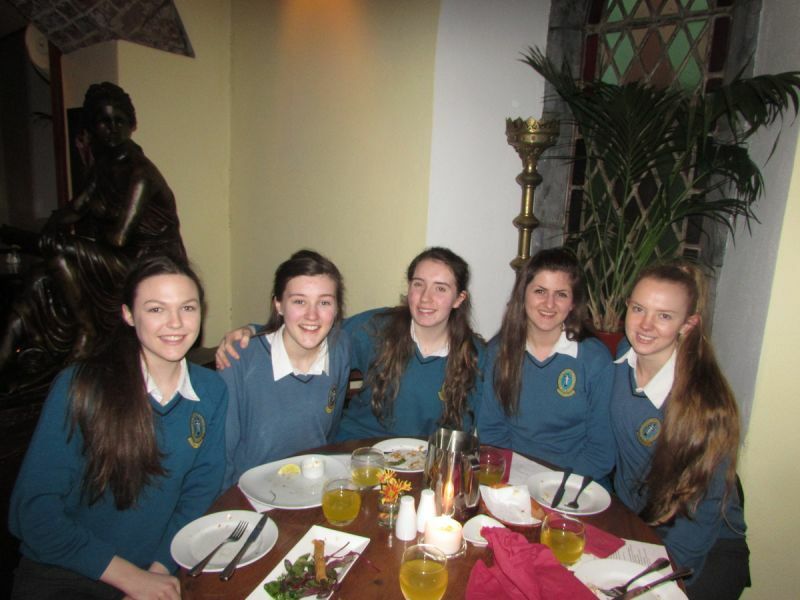 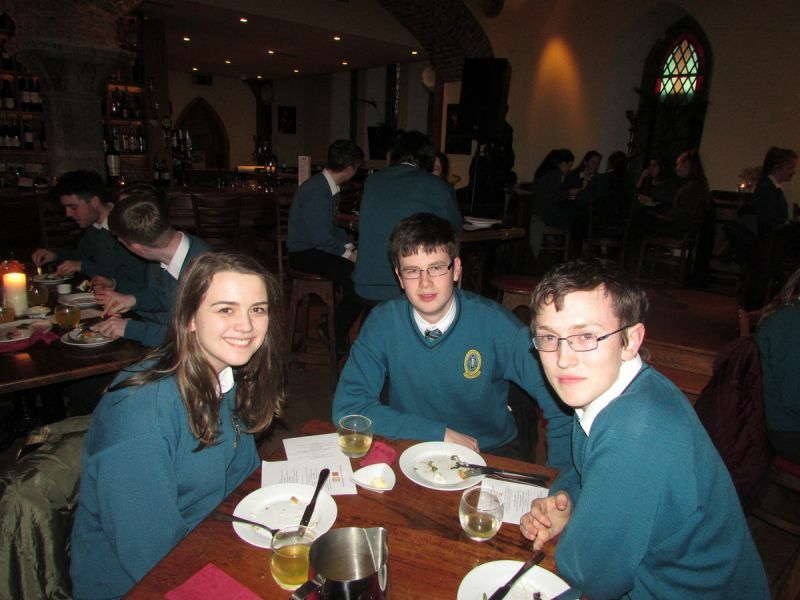 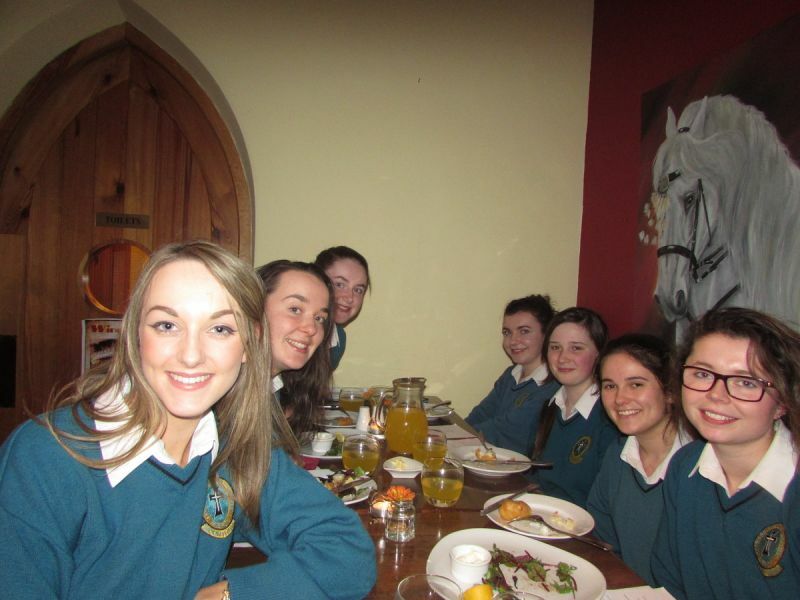 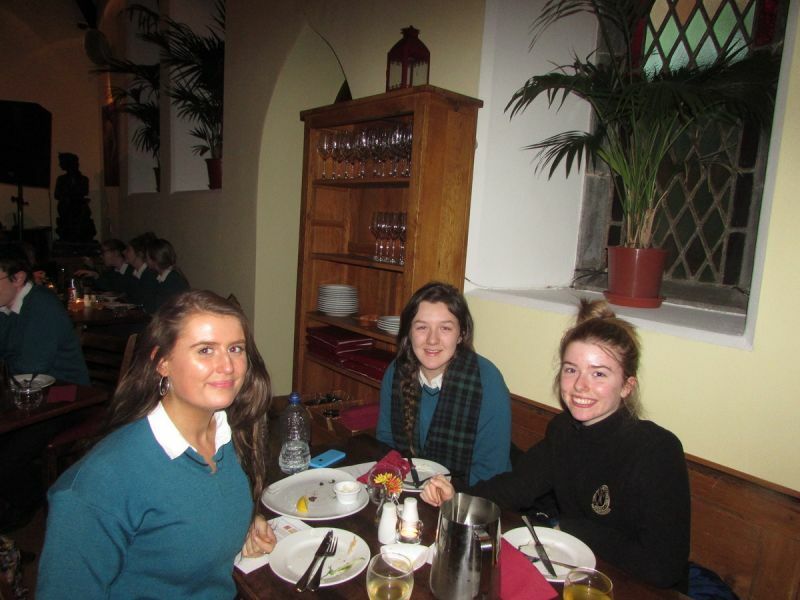 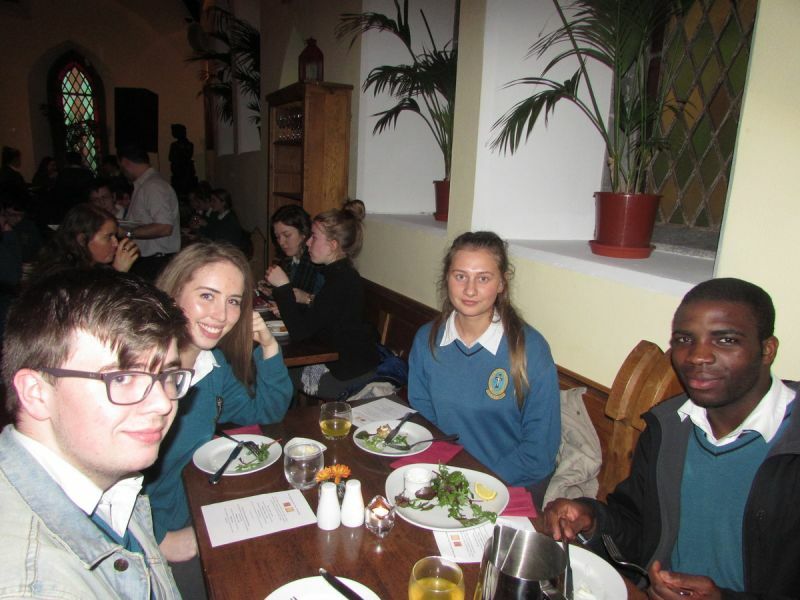 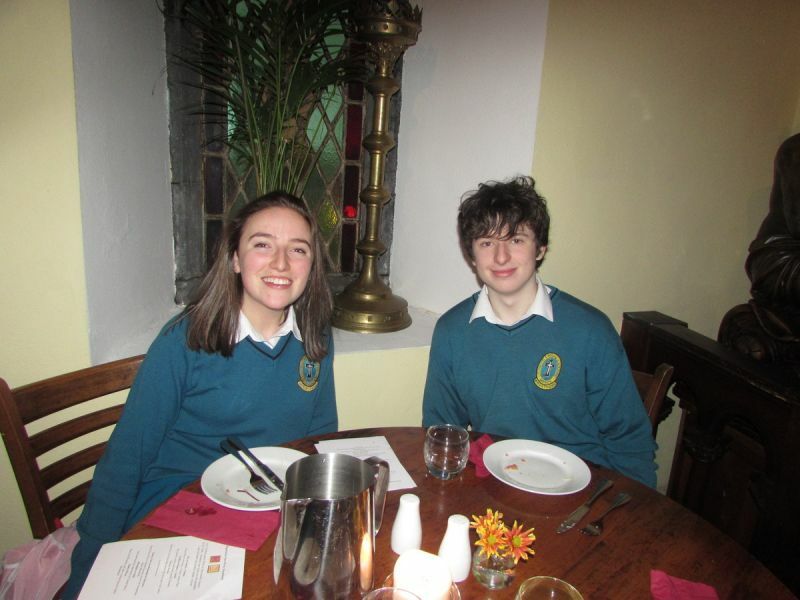 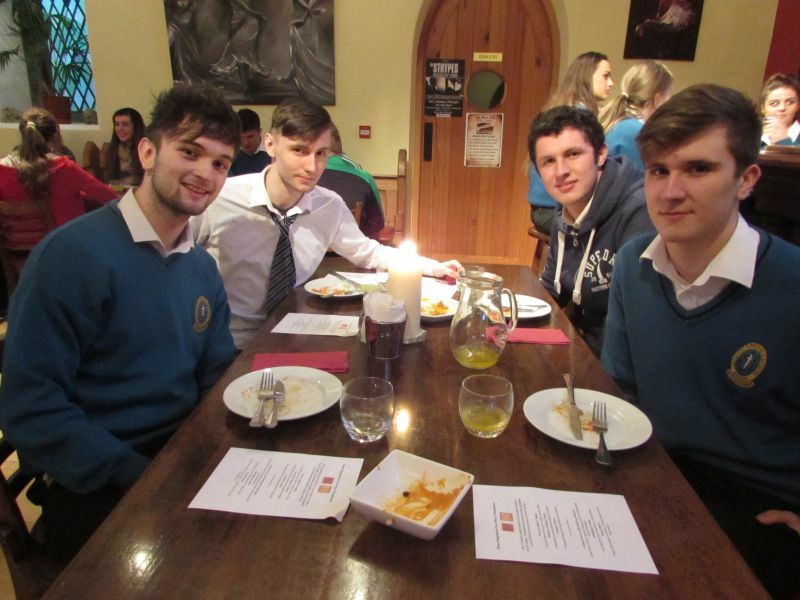 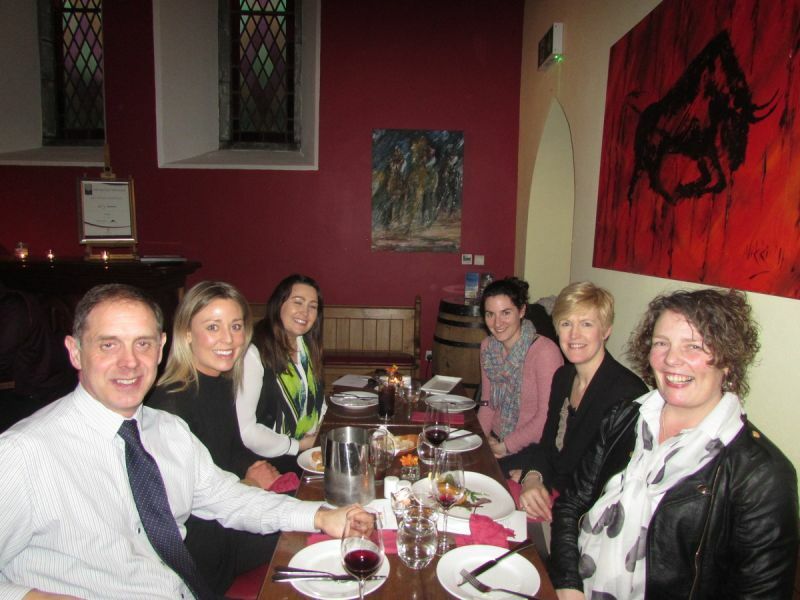 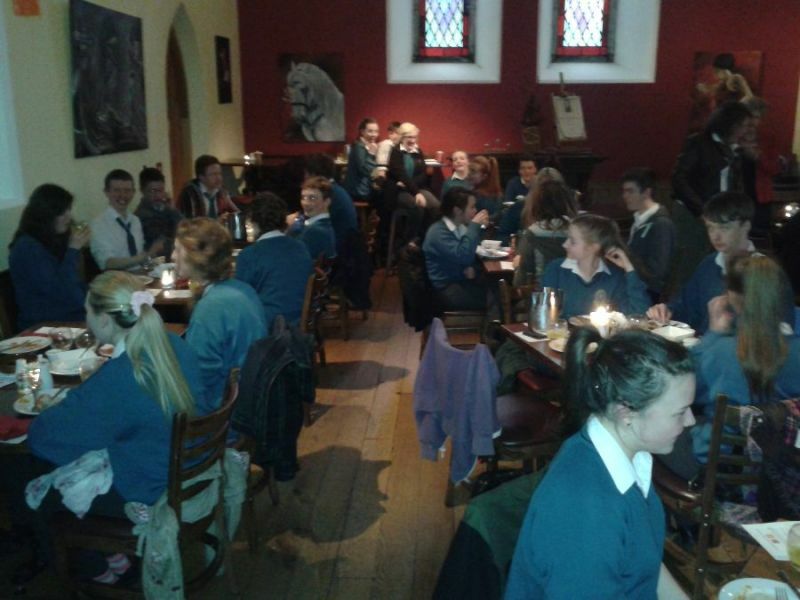 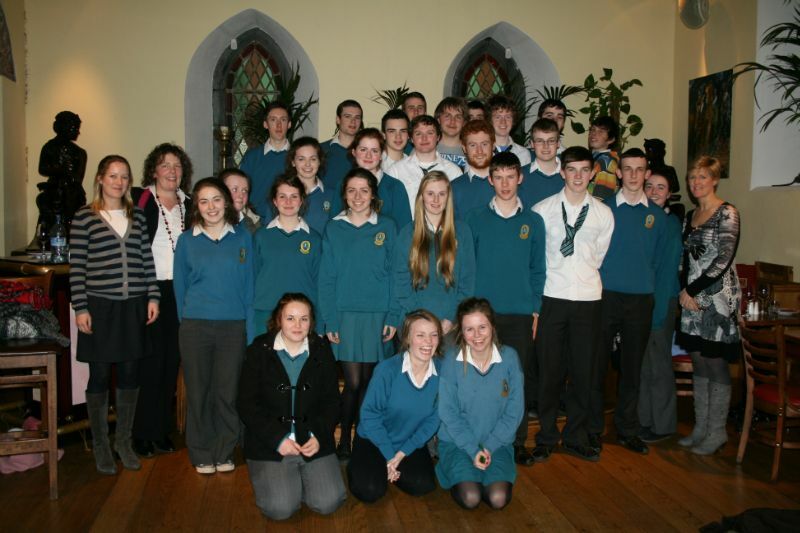 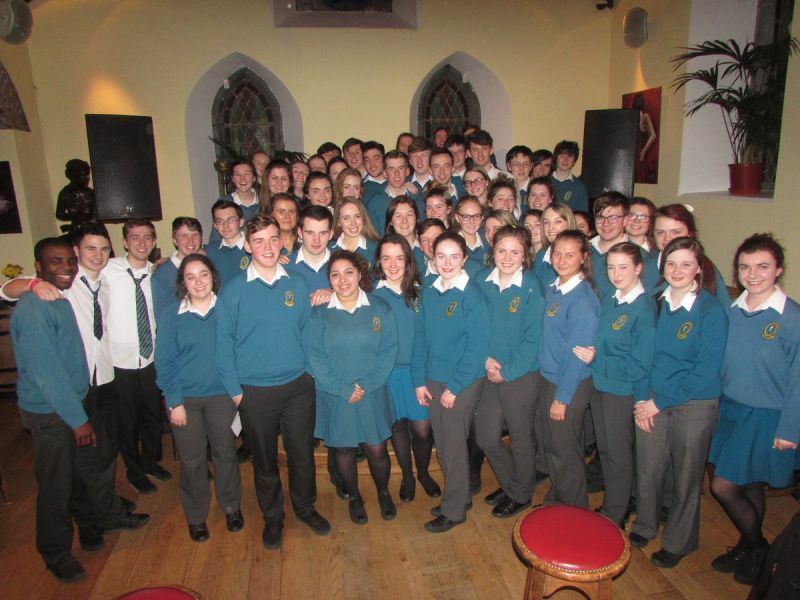 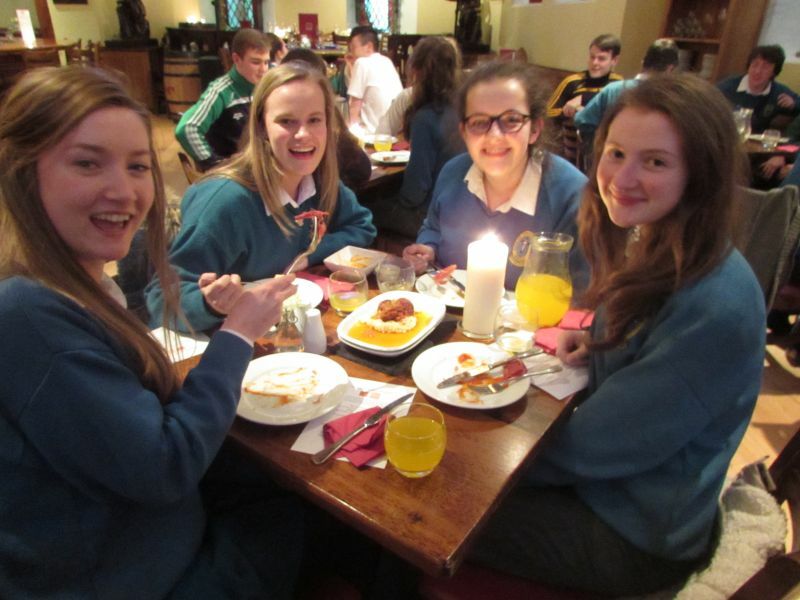 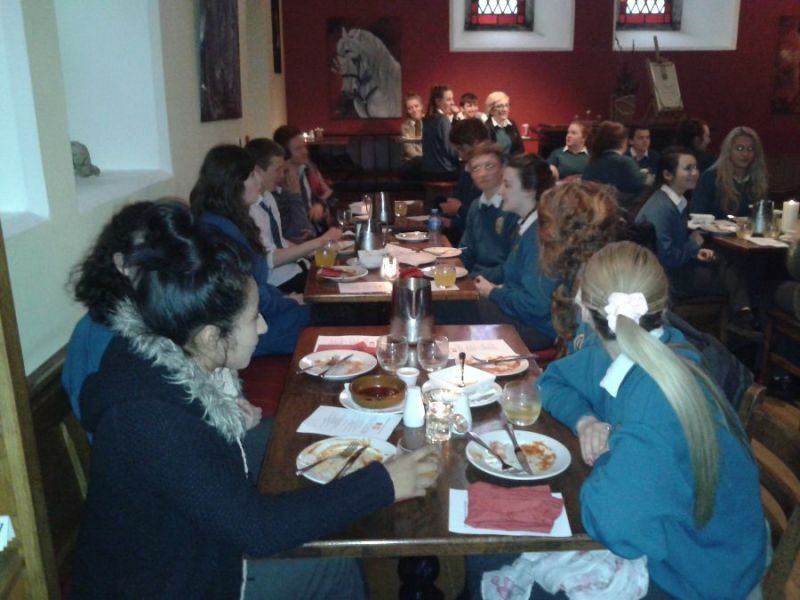 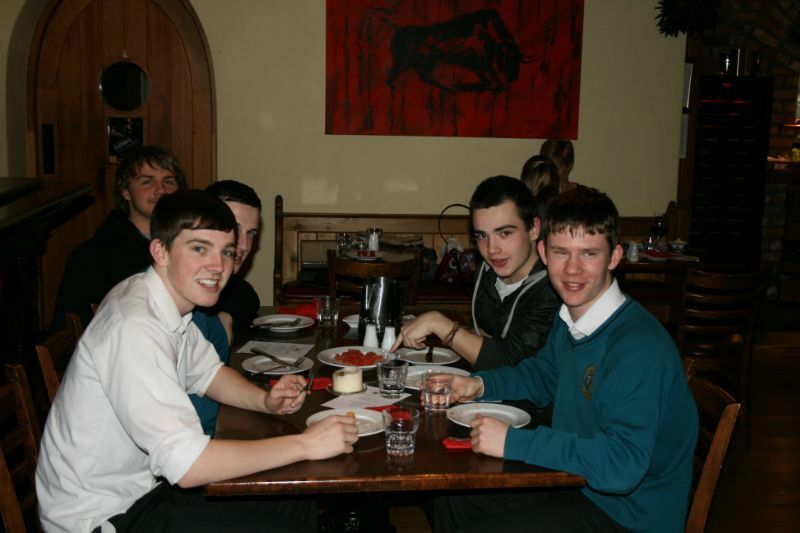 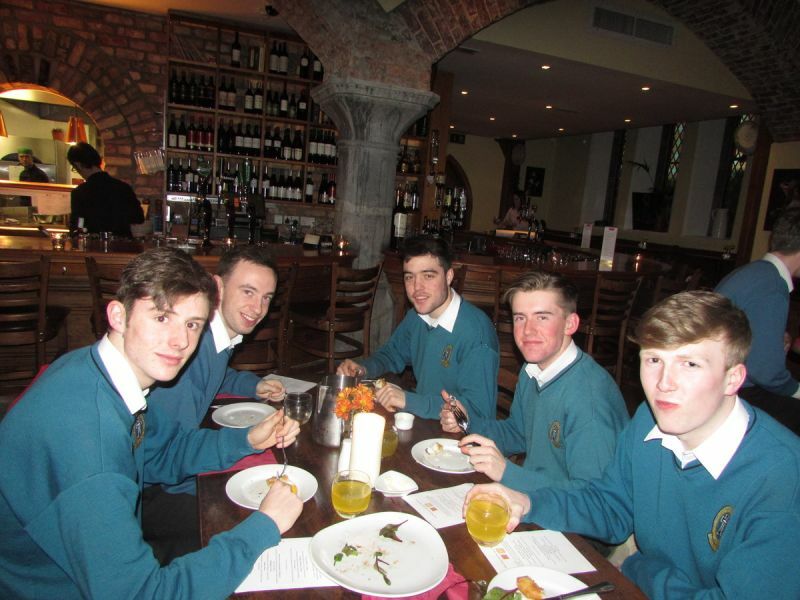 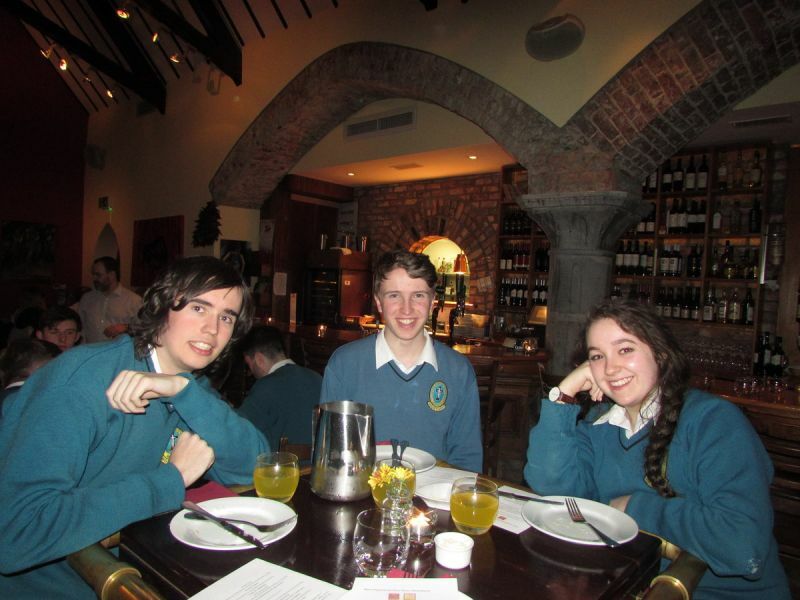 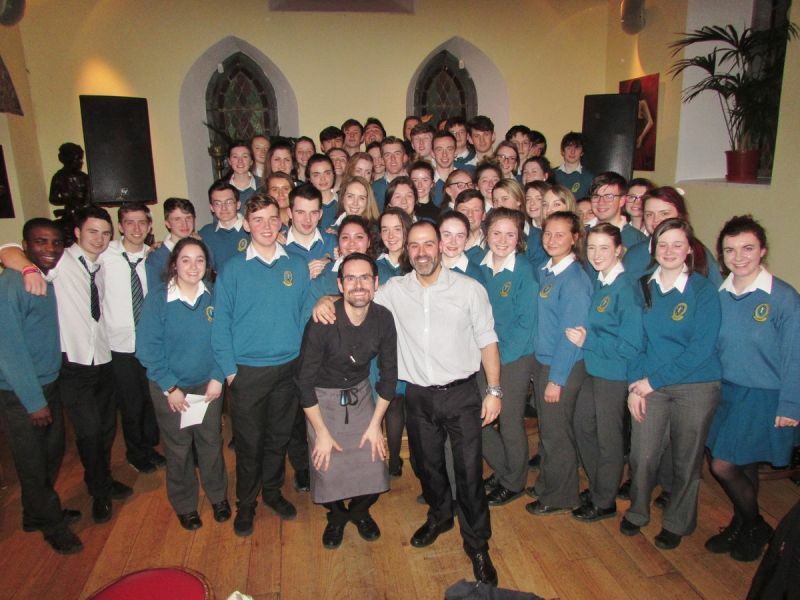 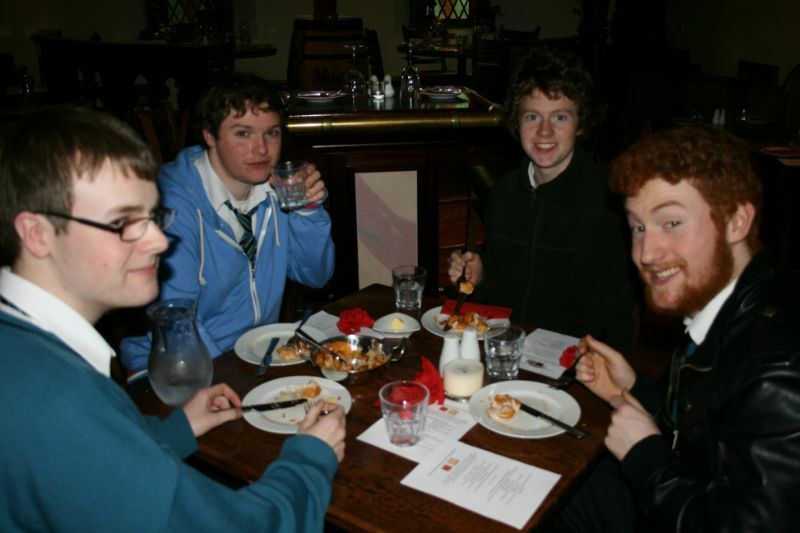 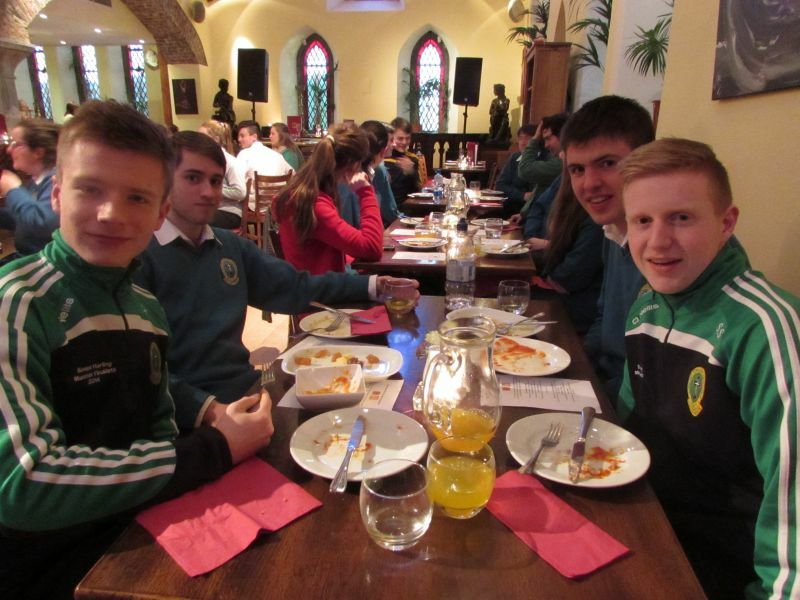 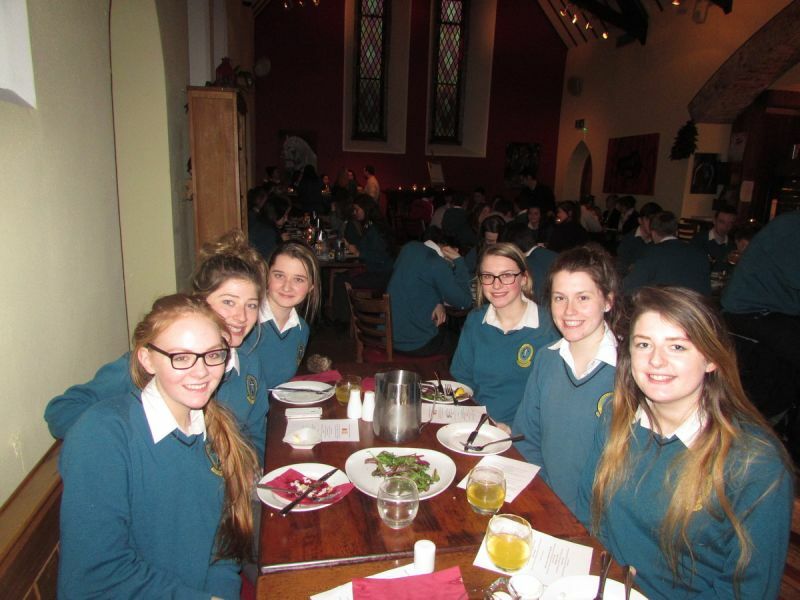 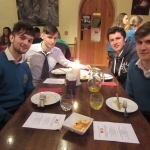 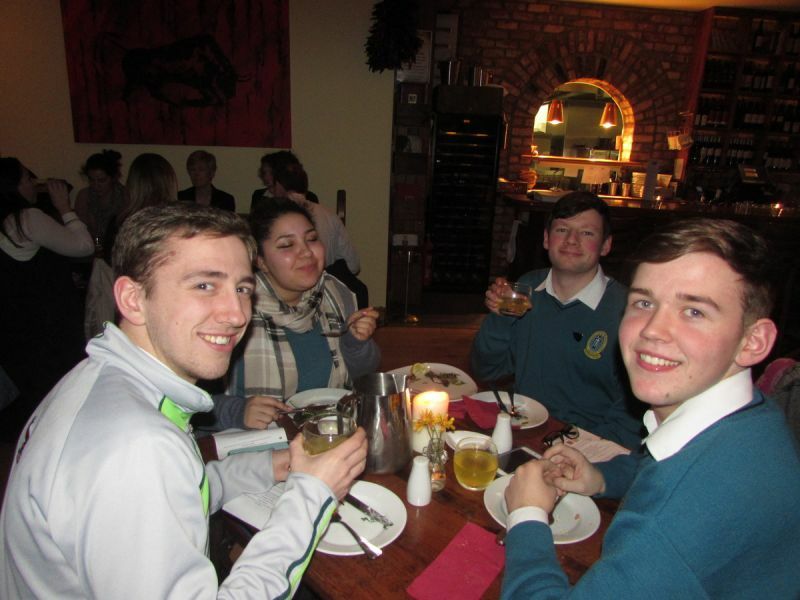 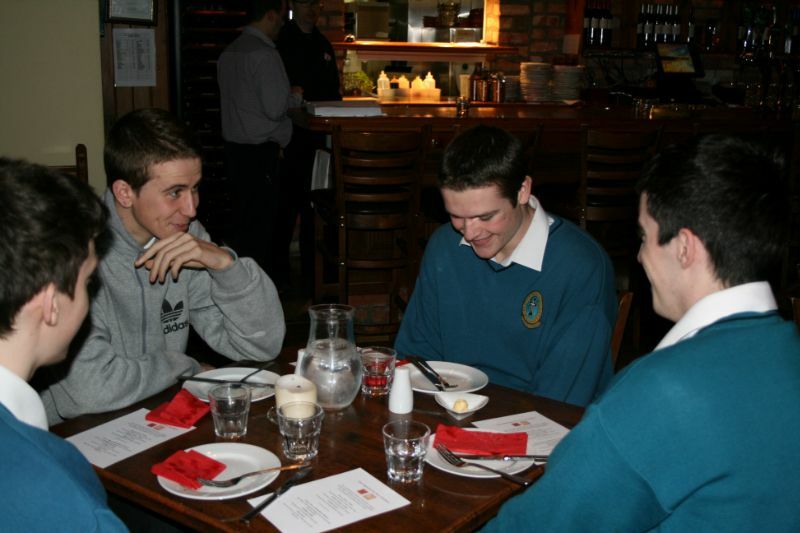 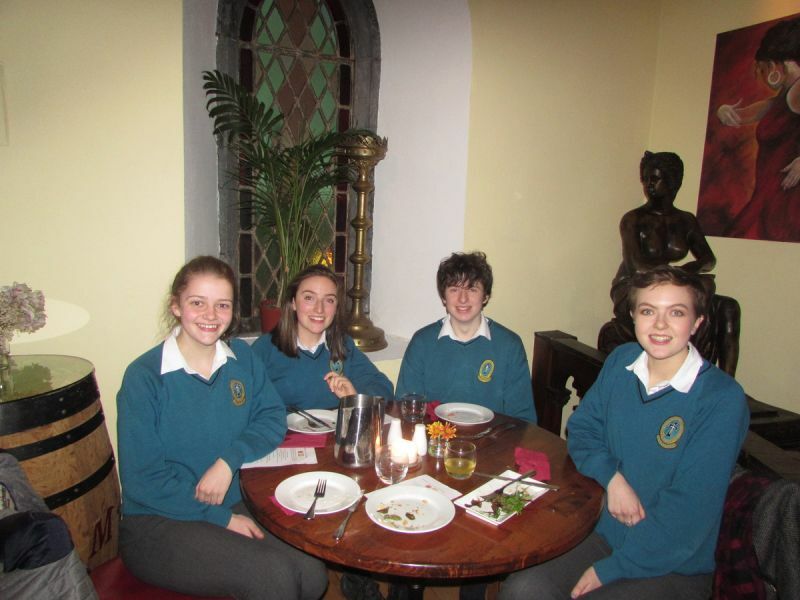 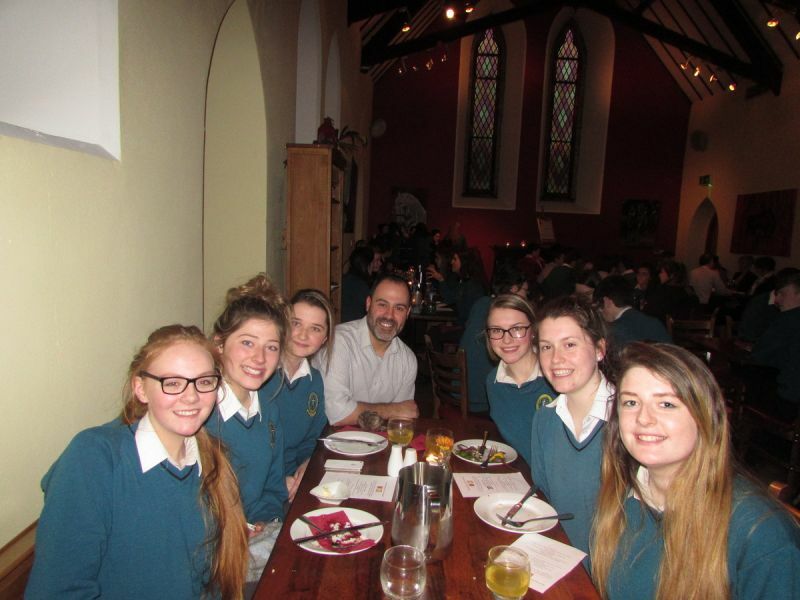 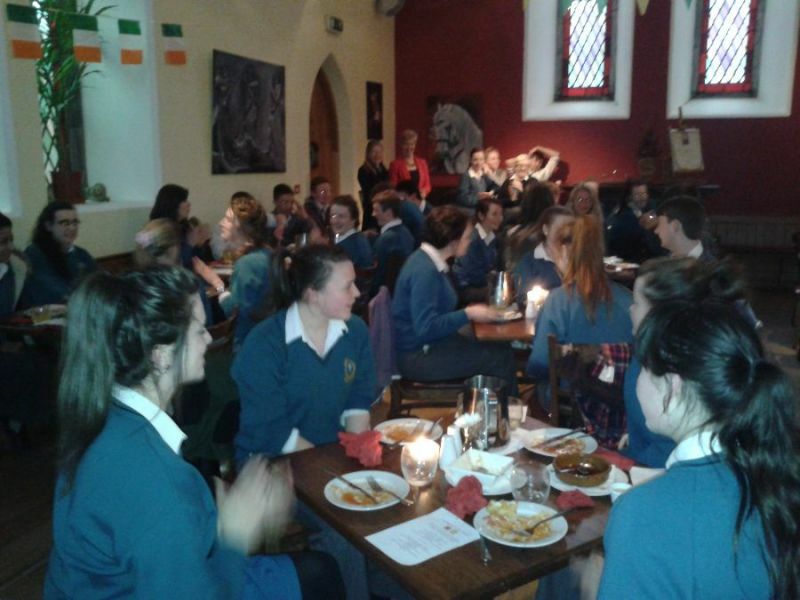 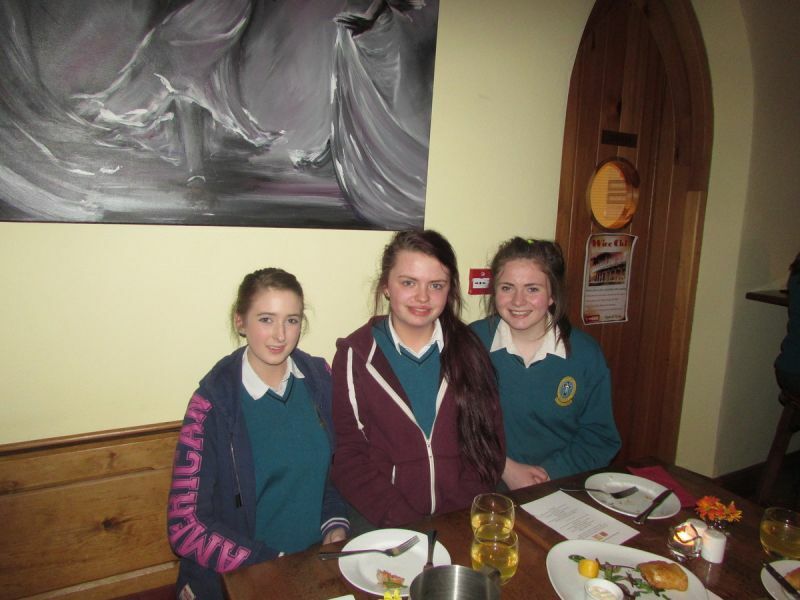 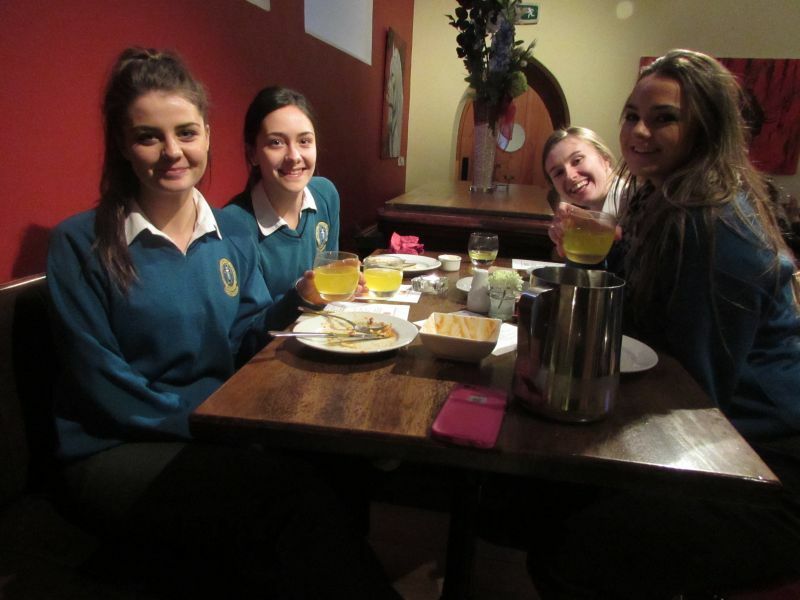 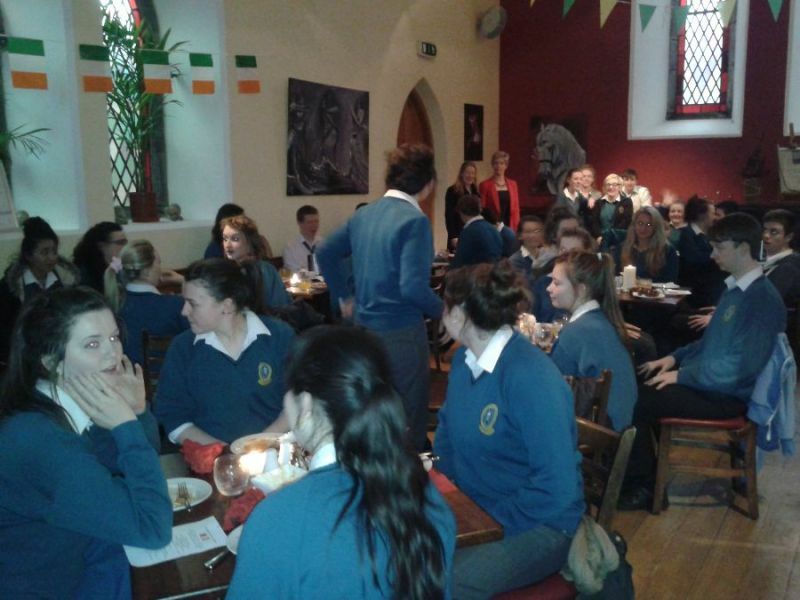 On completion of their mock exams all Leaving Cert Spanish students at Mercy Mounthawk are rewarded with a very enjoyable evening of Spanish language, food and music in the tapas bar ‘Sol y Sombra’ in Killorglin; the most authentic Spanish experience available in Kerry!!! 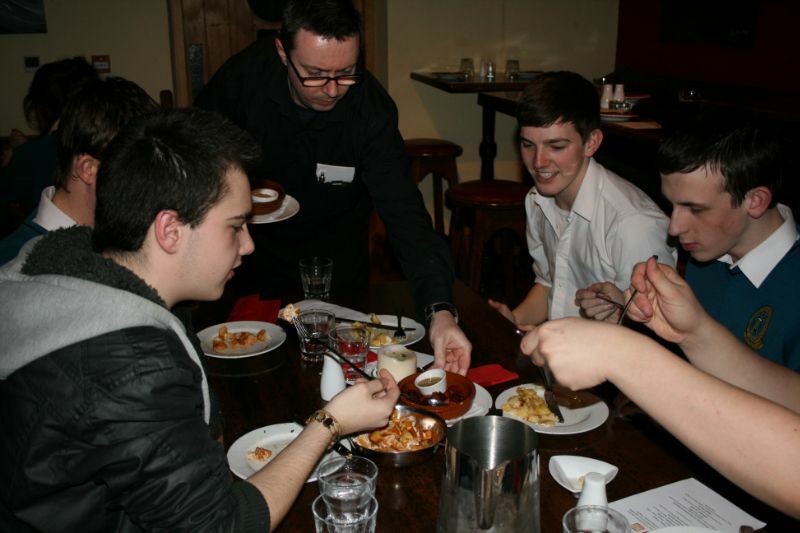 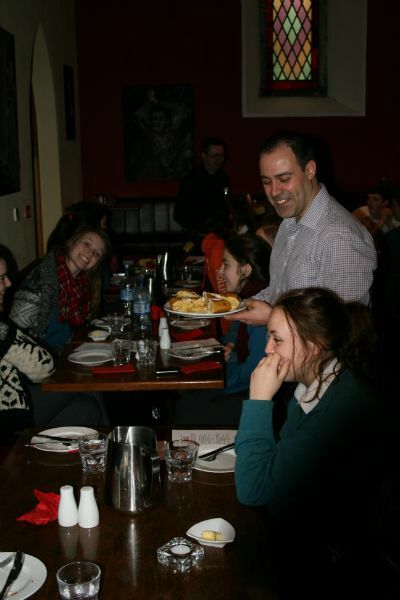 A very tasty variety of tapas are served to a very enthusiastic audience and all business is conducted through Spanish!! 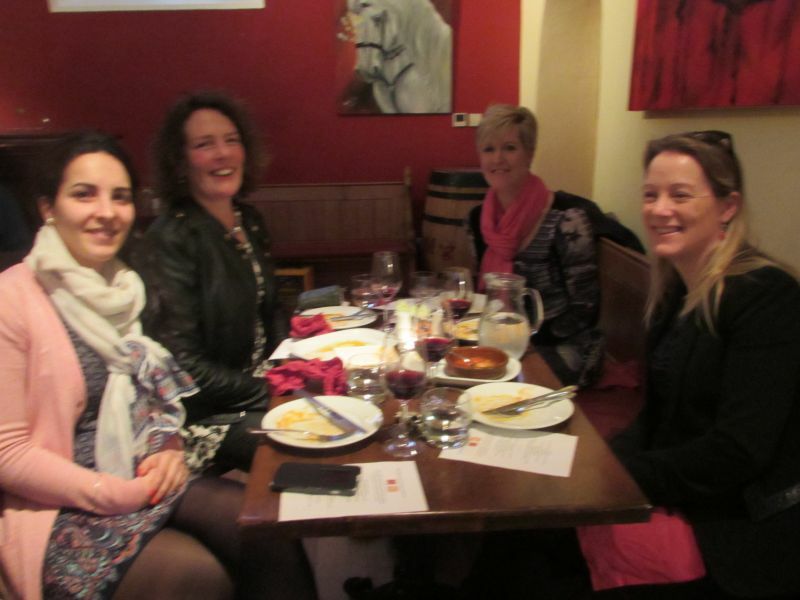 All the Spanish teachers in the school also attend and the purpose of the evening; which is to give the students an authentic opportunity to speak Spanish to native speakers both as a treat and in preparation for the oral exams, is definitely achieved!! 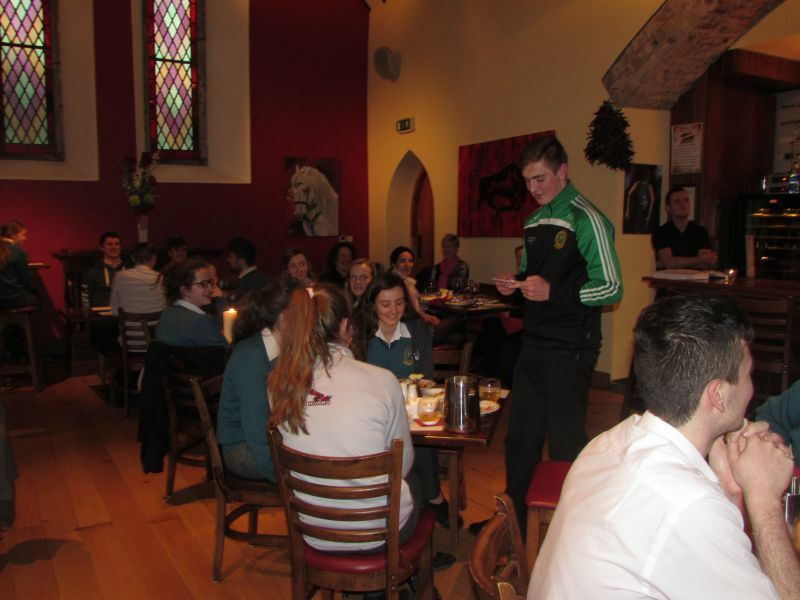 Each year a number of students are chosen by the waiters as the students who made the greatest effort to order food and converse in Spanish! 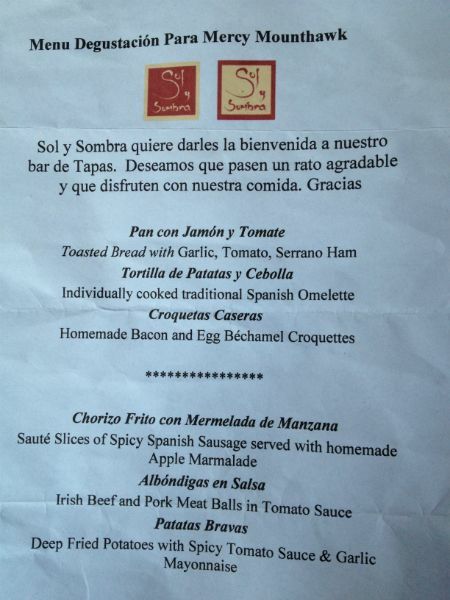 A huge ¡Gracias! 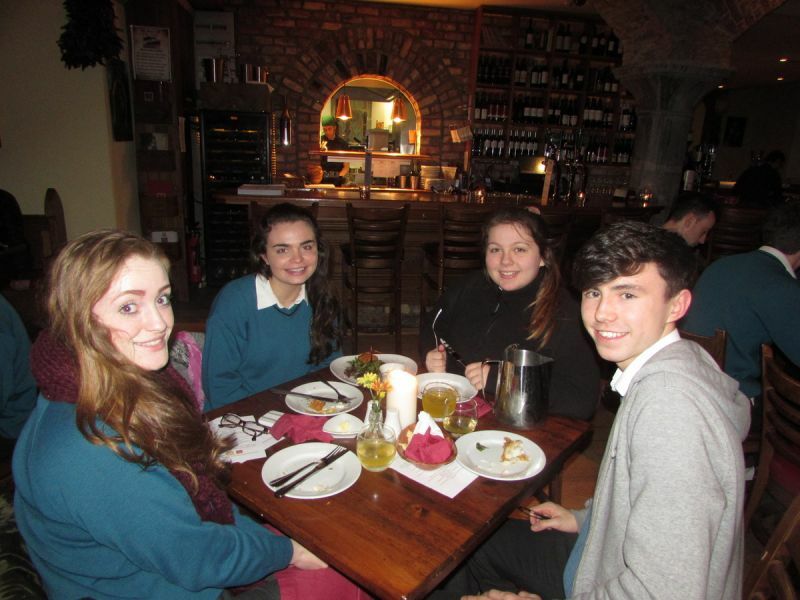 to Alberto, Clíona and fellow waiters who make us feel very welcome and serve us some fabulous food! 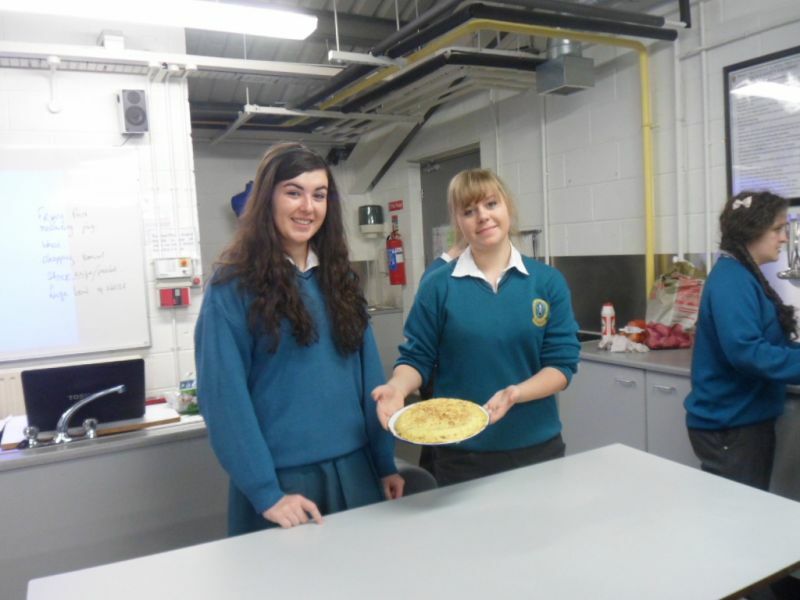 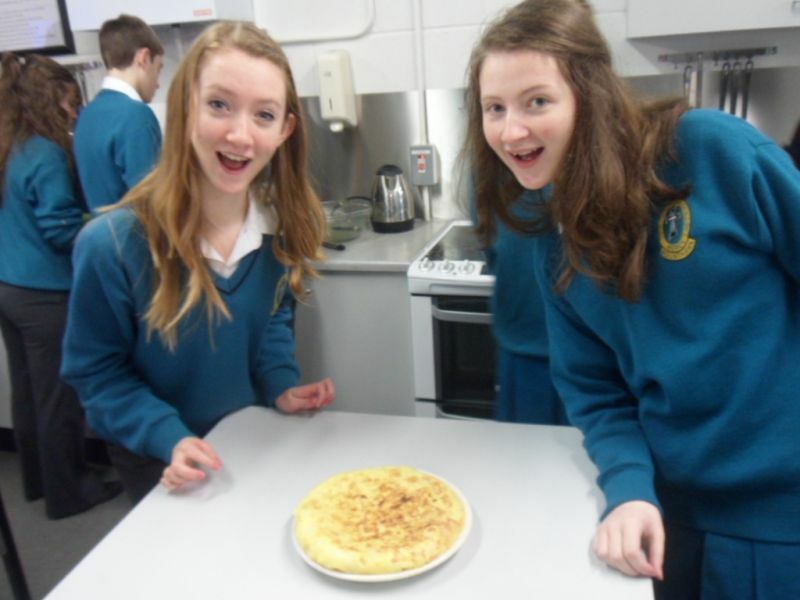 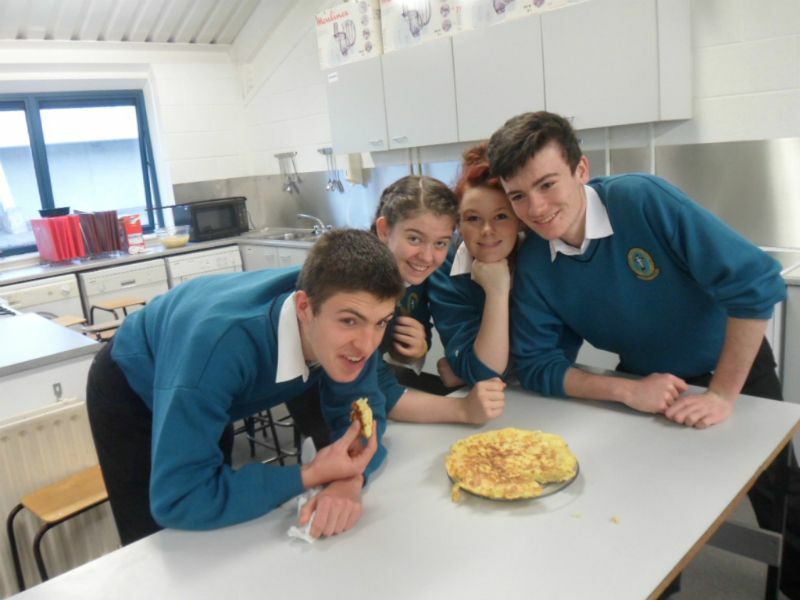 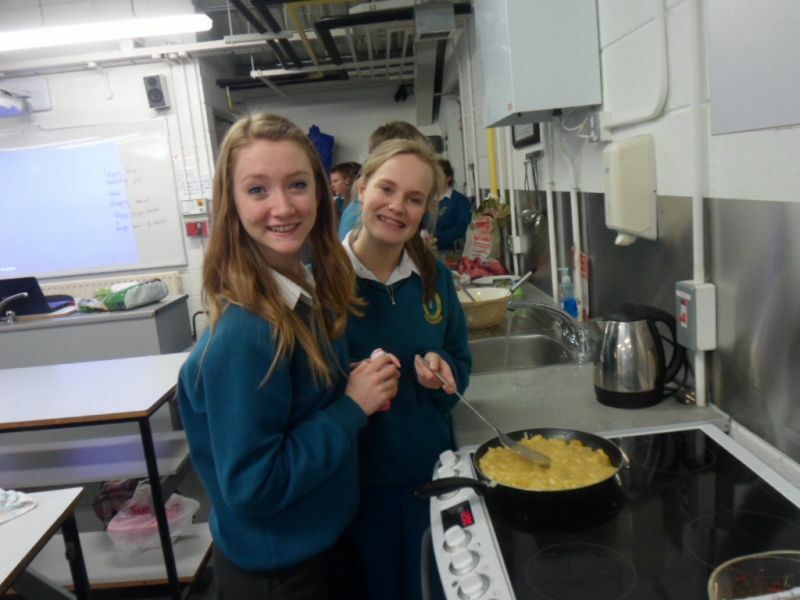 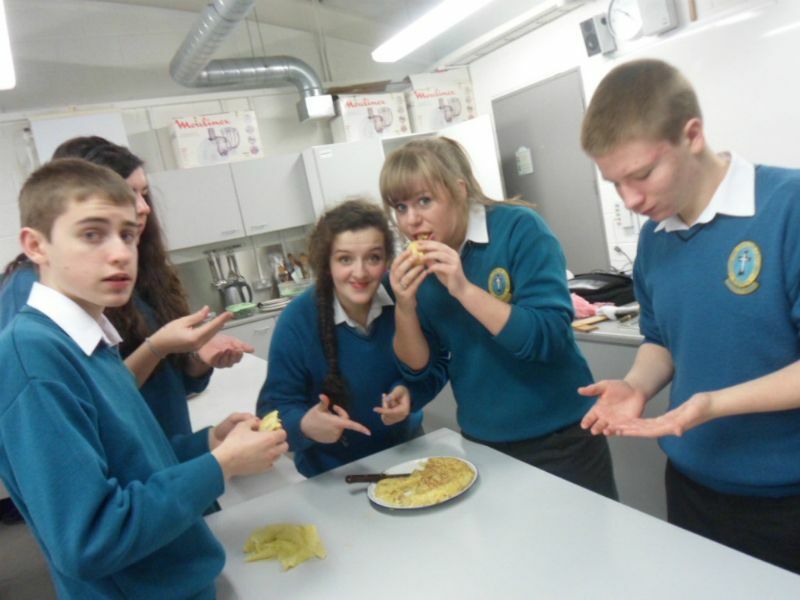 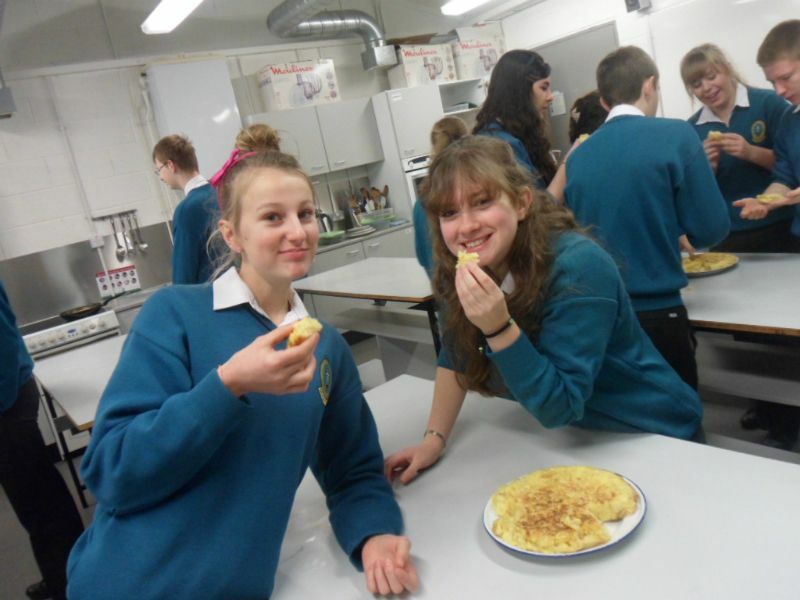 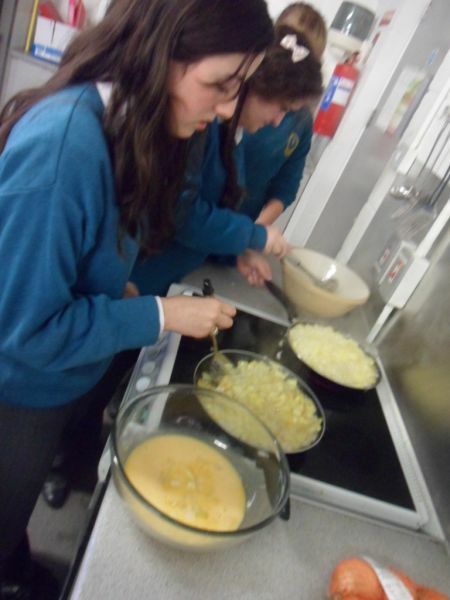 The Transition Years enjoyed a fun-filled morning where they practiced their cross-curricular culinary skills in the Home Economics room, making some very tasty Spanish Omelettes – ‘Tortilla Espaňola’. 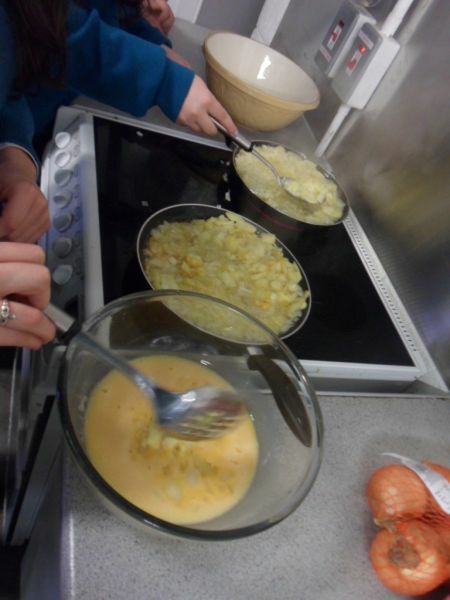 Some very talented potential ‘Masterchefs’ came to the fore and everybody agreed that language learning through an authentic Spanish activity was a very positive experience. 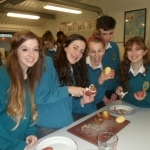 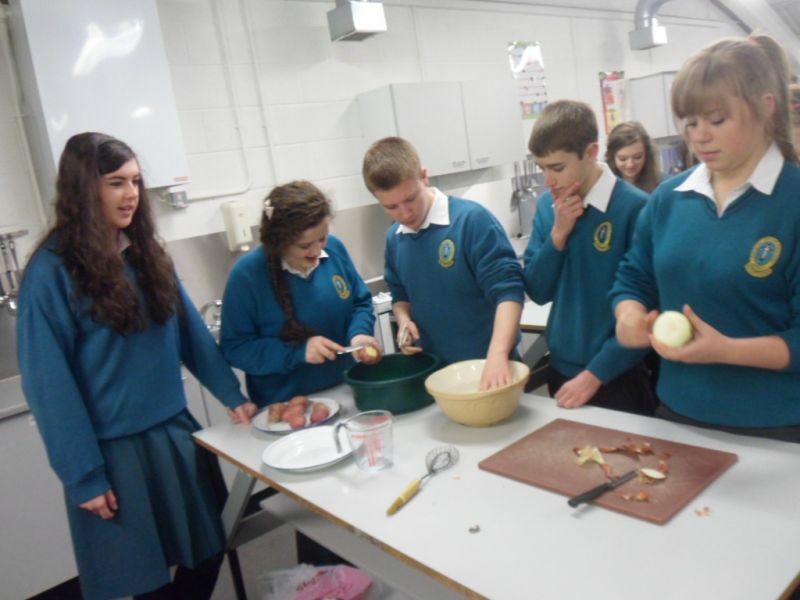 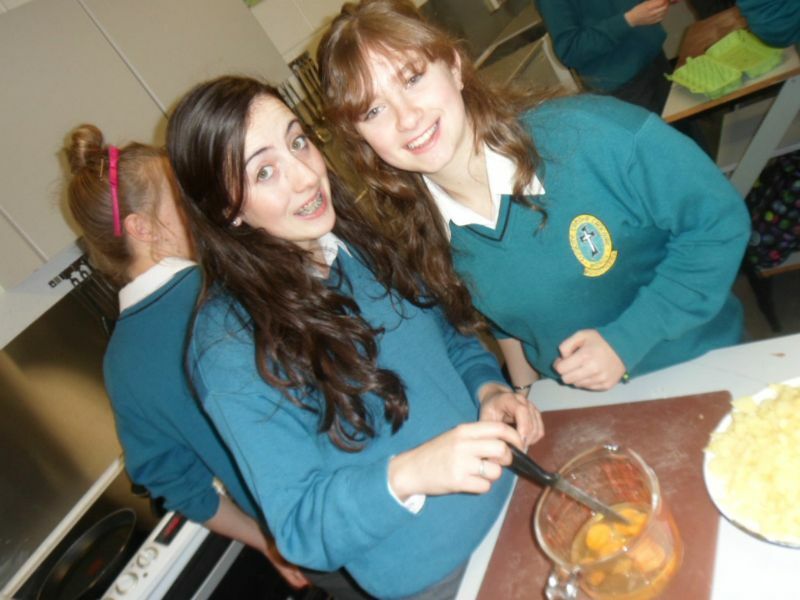 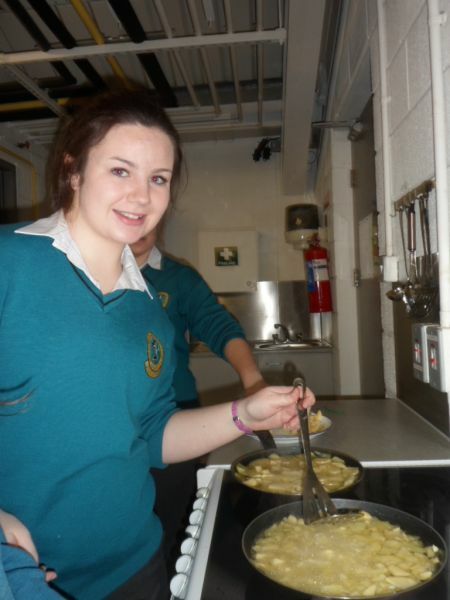 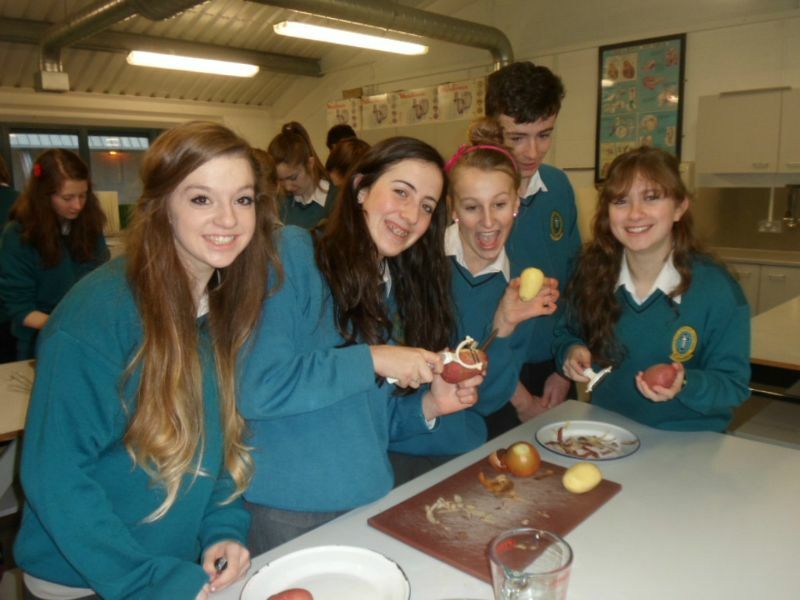 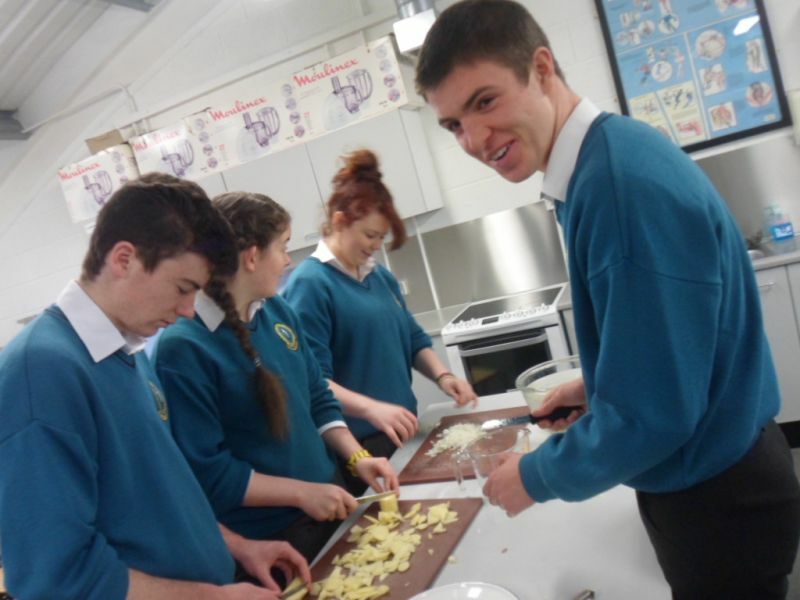 Many thanks to Ms O’ Halloran for accomodating and supporting us throughout the cookery session!